Oh, this is nice. We haven’t had pretend VHS visual artifacts in trailers since Far Cry 3: Blood Dragon. But here’s a trailer for Alien: Isolation, replete with the late-‘70s version of the 21st Century Fox searchlight intro. They might have stopped there, after the splash screens. But there’s even a couple of seconds of footage from Alien: Isolation’s Weaver-voiced pre-order DLC in there. Two missions attached to Isolation’s Nostromo edition plant players in the sweaty shoes of Alien’s original cast. Sigourney Weaver (Ripley) contributed her voice and likeness for the first time since 1997’s Resurrection, alongside Dallas (Tom Skerritt), Lambert (Veronica Cartwright), Brett (Harry Dean Stanton), Parker (Yaphet Kotto) and Ash (Ian Holm). 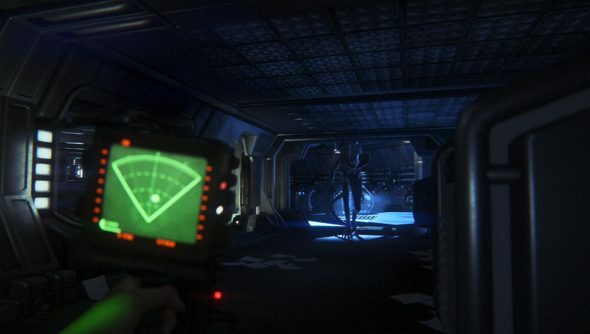 Weaver told Associated Press she was “very touched” by Alien: Isolation’s premise. “When they said we want to follow Amanda [Ripley] looking for you in her explorations of space, I was very touched by that,” she said. Do you have enough faith in Creative Assembly’s first FPS to buy it already? Or will you hang back and watch the blips on your radar?